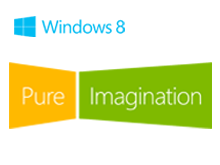 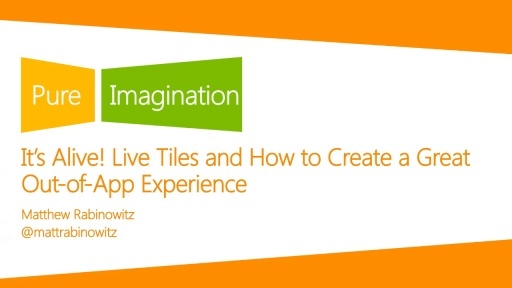 Pure Imagination brings developers, designers, game builders, students, start-ups, and YOU are exploring the possibilities of Windows 8, beyond the features...to what can be accomplished when inspiration and technology intersect. In less than 40 hours you'll get everything you need to make your vision into the next great Canadian app, including technical presentations, brainstorming sessions, hands-on labs, and access to industry experts for guidance and treated to spontaneous moments of fun to keep your energy up. 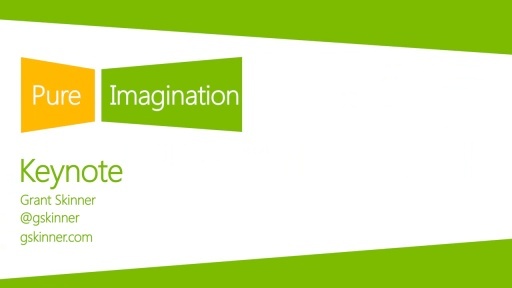 Get connected to all of the latest updates, discussions, and more as we get closer to Pure Imagination. Like Pure Imagination on Facebook or follow Pure Imagination on Twitter.